Reactive programming is revolutionary. It makes asynchronous programming cleaner, intuitive, and robust. Discover how to use the RxJS library to write programs in a simpler way, unifying asynchronous mechanisms such as callbacks and promises into a single, powerful construct. Learn to think about your programs as streams of data that you can transform by expressing what should happen, instead of having to painstakingly program how it should happen. You'll be able to handle real-world concurrency and write complex flows of events in your applications with ease. Find out about Observable sequences, a unifying data type to write highly concurrent code. Discover Schedulers and change the concept of time in your applications, making asynchronous testing sane again. Along the way you'll see real-world examples for the browser and Node.js, including a real-time earthquake visualization in 20 lines of code and a frantic shoot-'em-up space videogame. You'll also use Cycle.js - a modern, fully reactive web framework - to make a whole new breed of web applications. 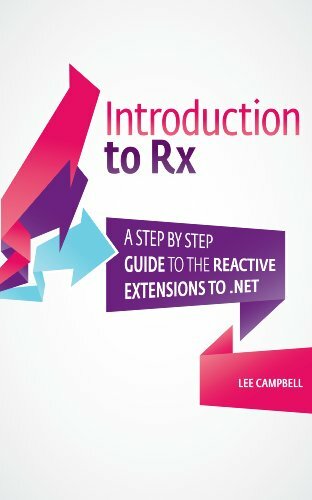 By the end of the book, you'll know how to apply reactive programming to solve complex problems, build efficient programs with reactive user interfaces, and write your code more declaratively. Sergi Mansilla is a professional developer with more than 15 years of experience who believes that software can change the world for the better. He's currently working on Firefox OS, a new mobile OS based on the web. Sergi speaks at conferences all around the world, and lives in Amsterdam with his lovely wife.